Before we meet our pooches for this week, I wanted to let you all know that you can now RSVP for the Orphans of the Storm® Annual Benefit Dinner, which will be Monday, April 22 at 5:30pm. Check out the Facebook event page for more information. I hope to see you there! Now, time to meet some of the dogs who will benefit from the benefit dinner! 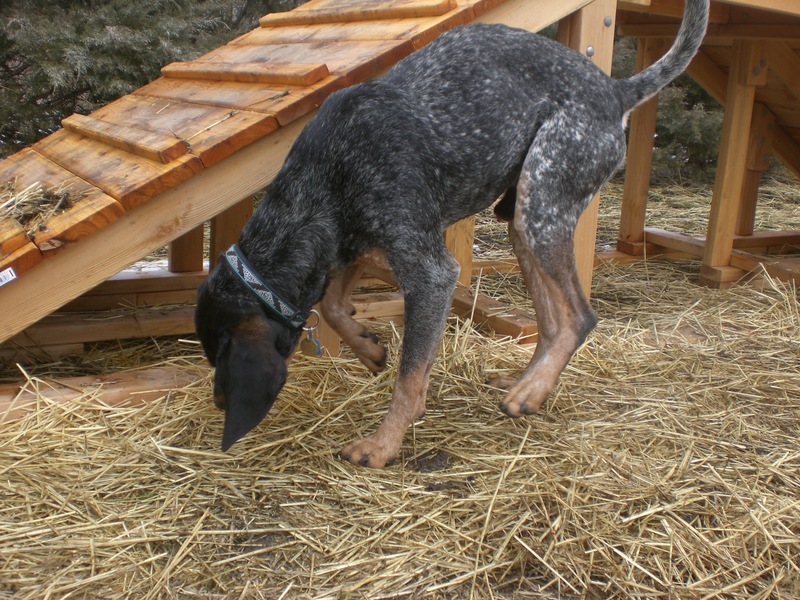 Jax (who has the name ‘Cooper’ outside his kennel now) the two-year-old Bluetick Coonhound mix is such a handsome boy. He looks a lot like Mervin, who was happily adopted a few weeks ago, but is a little smaller and has a little less drool. Jax, being a scent hound, kept his nose pretty close to the ground while we were out on our walk. If you start to pet him, though, he stops sniffing and will stay right next to you until you stop. Jax loves other dogs. 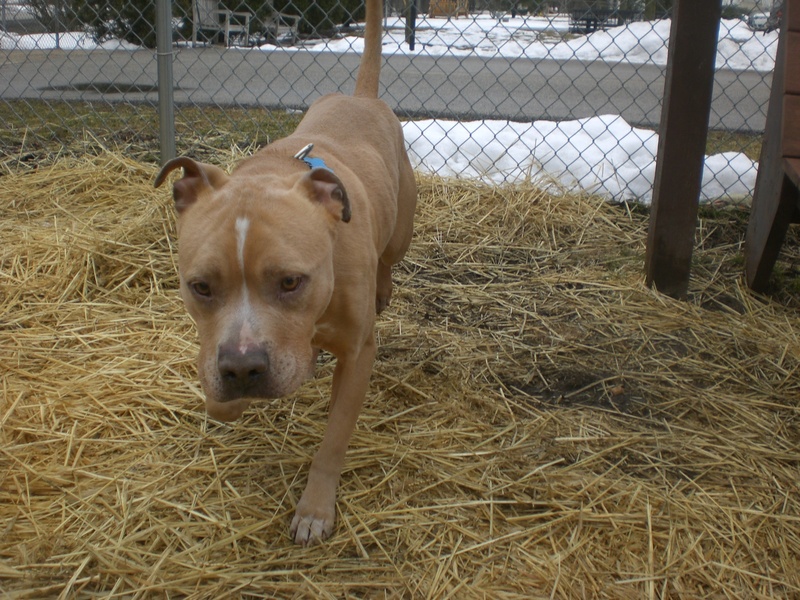 If you already have a dog and are looking for another, Jax might be a good choice for you. He really, really, really wanted to play with Ebbie, but Ebbie isn’t really a fan of playing with other dogs, so poor Jax had to settle for just walking and sniffing. He is a sweet boy ready to make himself at home with a new loving family. Jax has too cute of a face to keep it pointing at the ground all the time! 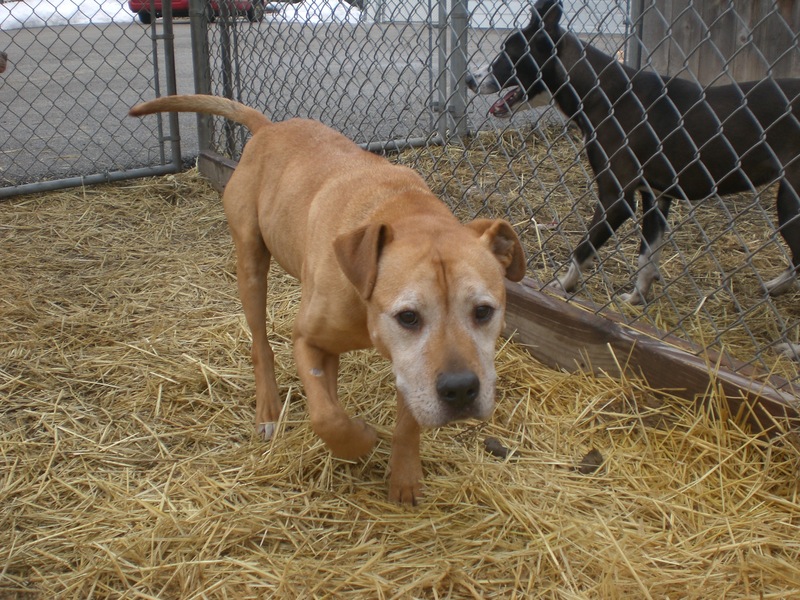 Wilbur the eight-year-old and Rosco the seven-year-old are Pit Bull Terrier mix brothers who would be extra happy if they could both go to the same new home together. They’ve been together all this time! When they first came to the shelter two weeks ago, they were a little shy and very skinny. They’ve already started to perk up and gain some weight, and would improve even faster if they were in their forever home. Wilbur and Rosco are, of course, very friendly with each other. They also seem to be pretty friendly with other dogs, though Rosco wasn’t such a fan of a visiting Rottweiler. Even though they’re on the older side, they aren’t showing any signs of slowing down–don’t let Wilbur’s graying face fool you! They love to run and explore and sniff. They’re also good dogs who walked pretty well on the leash after they got their energy out. They both came over to me periodically while we were in the off-leash run to get a reassuring pat on the head or scratch on the back. Wilbur even came close to giving me a doggy kiss–but then decided to stick with just a friendly sniff for now. 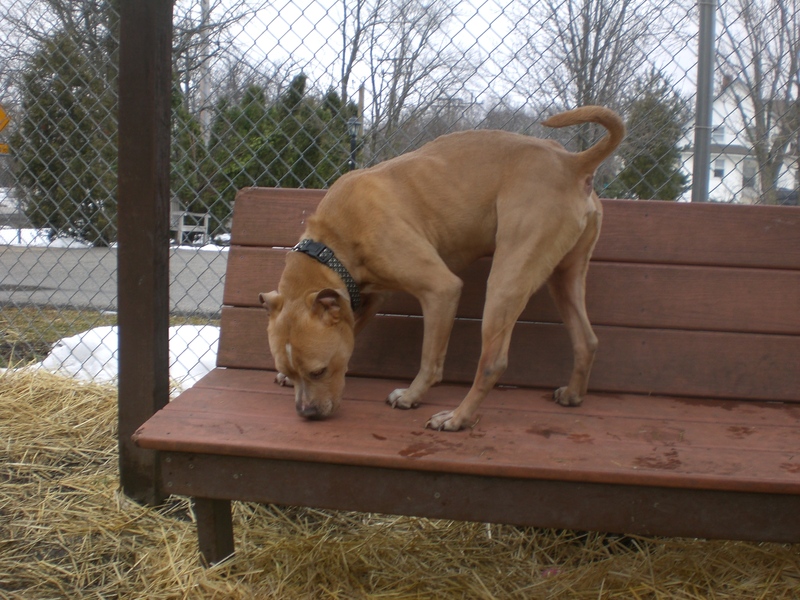 If Rosco jumping up on the bench is any indication, these two guys would probably be happy to join you on the couch while watching TV or reading a book, once they’ve gotten their exercise for the day. What better snuggle buddies are you going to find than these two lovable guys? I also took the always-gentle Akiva out for a walk during my visit. 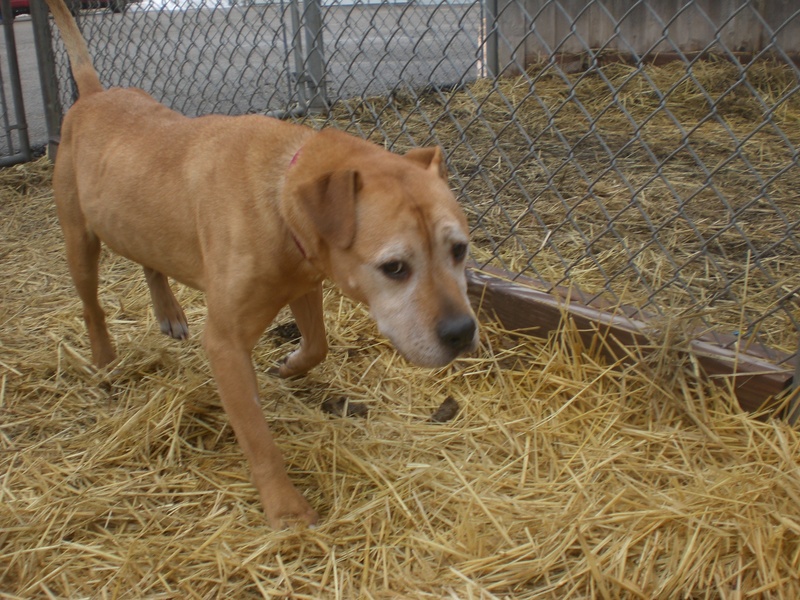 She’s probably the only one at the shelter who is just fine with it still being below freezing in March! The rest of us are hoping that sun and warm weather are on the way! 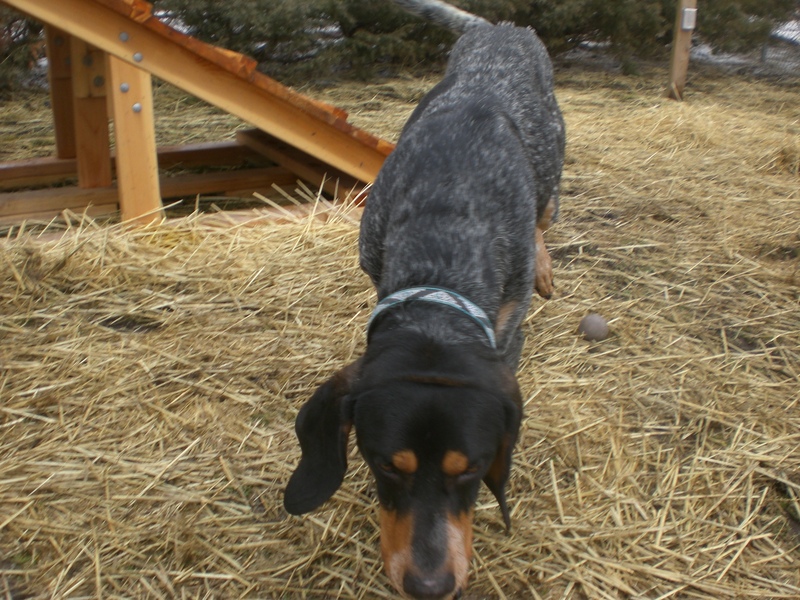 Posted by Meet the Pooches on March 21, 2013 in Dog Profiles and tagged adoption, animal shelter, animals, Bluetick Coonhound, Chicago, dogs, Orphans of the Storm, pets, Pit Bull Terrier.